Should I buy a left or right handed guitar? 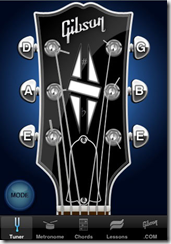 Buyers Guides, Guitar, Ryan Casperson, Video 12.05.2013 Comments Off on Should I buy a left or right handed guitar? Here is video that will walk you through making a good decision about choosing a left of right handed guitar if you are a lefty. Should I buy a left or right-handed guitar? The Shape of Your Pick Matters! 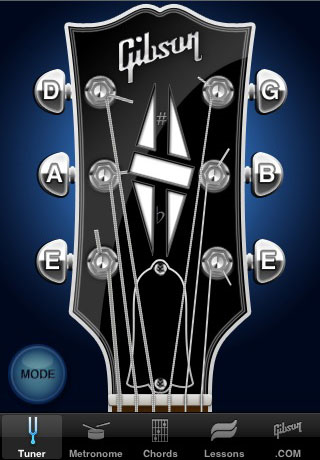 Guitar, Ryan Casperson 28.11.2011 Comments Off on The Shape of Your Pick Matters! Earlier, we discussed how the thickness of your pick can impact your playing. This time, let’s take a look at the shape of the pick. Rounded Tip Picks: These picks don’t "bite" into the strings and as a result, work great for strumming. The pick can glide over the strings without getting stuck on any individual string. The drawback is that picking individual strings becomes more effort. Pointy Tip Picks: These are preferred by players who like to play fast, intricate lines. The point can "stick" to the string and greatly increase your accuracy and speed when alternate picking, string skipping, or tremolo picking. Fast players prefer these greatly! Large Pick vs. Small Pick: This is a point of debate, but my opinion is that the larger the pick, the more you need to control. While it is easier to hold on to a larger pick, getting it to move fast takes more effort. The small "Jazz" picks are more maneuverable and once you get used to them, I find it hard to use anything else. Having problems holding onto your pick while playing? Try using picks with either raised writing or holes through it. If your favorite pick doesn’t have either, try drilling a couple holes yourself (or use a hole punch if you’re strong enough!). There are glue-like products you can put on the pick to make it stickier, but I think that would really be the last resort. Who wants to clean glue up every time they play guitar? Of course, there is a right pick out there for every player, so try them all out and find yourself the perfect pick! Thin, Medium or Heavy Guitar Picks? 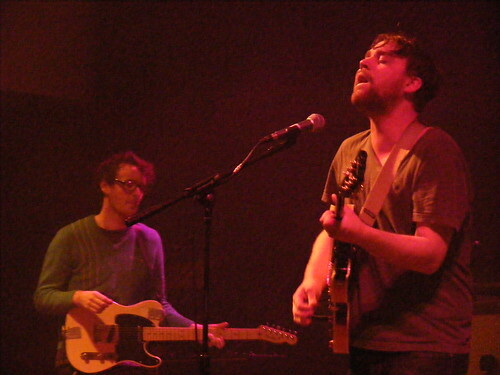 Bass, Guitar, Ryan Casperson 19.11.2011 Comments Off on Thin, Medium or Heavy Guitar Picks? There are lots of different kinds of picks. Finding the right pick for you can make playing much easier! Thin picks are great for strumming chords. They bend against the strings while you strum and have very little resistance. The downside to thin picks is that they bend and have very little resistance! This means they aren’t very good for doing fast single note runs. 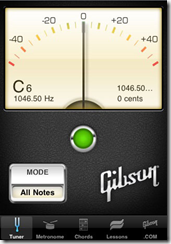 If your style is mostly playing chords, this could be a good fit. Medium picks still have some give when you are strumming, but work much better for hitting individual strings. These are great when you are strumming chords as well as picking some individual notes out of them. Heavy picks don’t have any give at all and that is exactly why they are perfect for fast picking. If you want to shred and play the fast lead parts, heavy is the way to go! Besides how stiff a pick is, there are other factors you may consider. Larger picks are easier to hold on to. Smaller picks are more maneuverable. Sharp picks can dig into the string faster, and dull ones have a much more rounded tone. Try them all and find the one that’s right for you! What is a "Capo?" And do I need one? Guitar 26.04.2011 Comments Off on What is a "Capo?" And do I need one? A "Capo" is a clamp that can be put over any fret of your guitar. 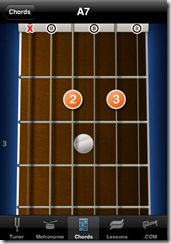 Wherever you set it, that fret now becomes "zero" and you play your open chords relative to that. So if you have the Capo on the 1st fret and play an E Major chord, what you are actually playing is now one note higher (F Major). If you used the A, C and D shapes, you would actually be playing A#, C# and D#. 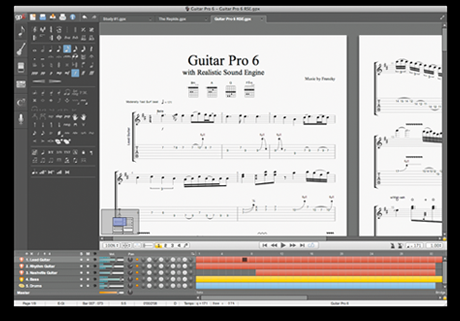 Using a Capo is a very easy way to play in different keys without having to learn a bunch of new chords. One famous examples of Capo use is "Here Comes the Sun" by The Beatles. George Harrison clamped his Capo on the 7th fret of his guitar and used D, G, A7 and E chord shapes "relative" to the Capo. The result is that the guitar sounds very bright, happy and uplifting which adds to the optimistic message of the song. While the Capo is often used to "cheat" difficult chords, it can also be brilliantly used to aid creativity and explore new terrain on your guitar. Do you need one? That depends. Some styles of music rely heavily on Capos (Country, folk, pop) and there will be songs that you might want to play that can only be done correctly using one. A lot of times you can get around needing one if you are good with your "Bar Chords," but the Capo sure would make things easier. 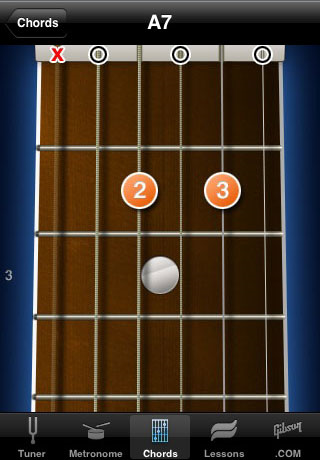 They are also a lot of fun to play around with, even if you know tons of different chord shapes. And they aren’t very expensive either (around $5- $20 depending on which style you get) so you don’t have to invest much to give em a try! 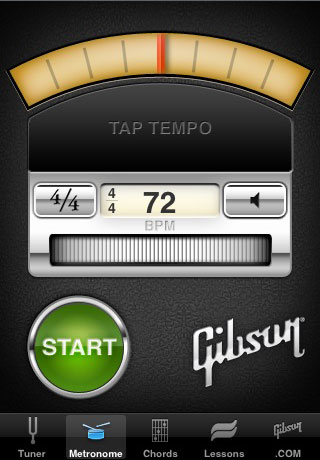 Top 4 Tools For Practicing Guitar! Guitar, Practice, Ryan Casperson, Tools 27.01.2011 Comments Off on Top 4 Tools For Practicing Guitar! In the olden days, the only high tech tools people had to learn their favorites songs on guitar was their record player and their ear. Today, the options for guitar players are endless! Here are my top 4 choices. Have fun and practice hard! 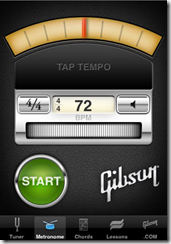 The Gibson Learn & Master Guitar App is awesome and FREE! 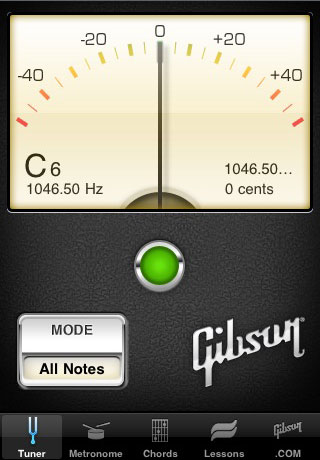 Apps, Guitar 14.01.2011 Comments Off on The Gibson Learn & Master Guitar App is awesome and FREE! Take Guitar Lessons in Seattle at 4/4 School of Music! 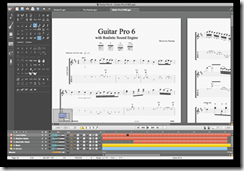 Guitar tablature (sheet music for guitarists in a simple and easy to learn diagram system). Check these sites for more info on how to read guitar tabs and also to find thousands of songs written in this easy to learn system! 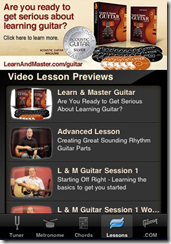 Beginners – Acoustic or electric guitar? 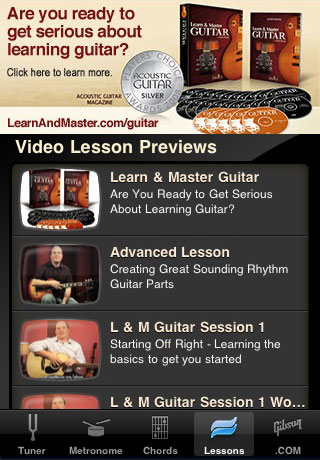 Guitar 11.12.2006 Comments Off on Beginners – Acoustic or electric guitar? For most beginners, starting on an electric guitar gives you the best odds of success! We know this from decades of experience. Electric guitars have smaller strings that are easier to press down on. The strings are also closer to the fingerboard so you don’t have to press as hard. The body of an electric guitar is smaller and thinner so that you can more easily see your fingers. The neck is usually smaller in diameter so that makes it a little easier to play chords. There are times when starting on an acoustic guitar is the best choice. If you already own an acoustic guitar, go ahead and start lessons on it to make sure that guitar is the “right” instrument for you. Then if you stick with it you can reward yourself with an electric guitar after a few months of lessons. (because that is the sound you like).